Netanyahu crying wolf helped push the US into Iraq war – will he be allowed do the same over the Iran Nuclear Deal? People everywhere, especially in the United States, have a right to be reminded just how irresponsible Prime Minister Netanyahu has been in crying wolf for the last three decades about Iran, especially when he attacks the historic agreement just negotiated with the Iranians to eliminate even the possibility they could build their own nuclear weapons. 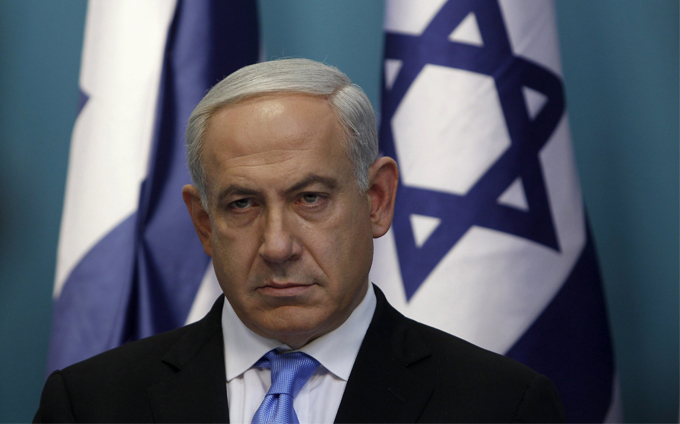 Close examination of Netanyahu’s record literally vaporises his credibility. Raviv Drucker writing in the Israeli newspaper Haaretz on March 8, 2015 reviewed that record which is a must read for anyone vulnerable to Netanyahu’s rhetoric about the Iran Deal. 1992: Netanyahu said with doom laden hyperbole Iran would have a nuclear bomb within three to five years. That is 23 years ago and they still don’t have the bomb! 1993: Netanyahu once again made another of his doom laden predictions extending by a years the date by which the Iranians would finally acquire a nuclear bomb to 1999. That prediction appeared in Yedioth Ahronoth the Hebrew language daily as an opinion piece, and like all of his other predictions it was very embarrassingly wide of the mark. 2002: As a “worried citizen” Netanyahu appeared before the US Congress and played a starring role in unleashing the dogs of war on Iraq, delivering what amounted to a knife in the chest to the American people offering “evidence” of Iraqi weapons programs that was not just wrong, but outrageously false! He claimed that there was “no doubt” Saddam Hussein had a nuclear weapons program and was so advanced he said that Hussein had centrifuges the size of “washing machines.” Worse still he was even more creative in claiming knowledge of Iraq’s chemical and biological weapons – which as we now know they did not have! Finally, in arguing the case for war with Iraq he claimed it would have a positive effect on the entire region and lead to the fall of Iran….! As we now know it destabilised the entire region and led to the rise of ISIS. 2013: Netanyahu said the Interim Agreement with Iran was the ‘deal of the century’ and predicted the sanctions regime would quickly fall – which it did not, a fact Drucker pointed out even Israel now concedes. He also said Iran would not keep to the agreement which it did. Against that background, US Senators and Members of the House of Representatives relying on Netanyahu as a primary witness against the Iran deal are not just betraying the American people, they are also letting people down everywhere who care about world peace.